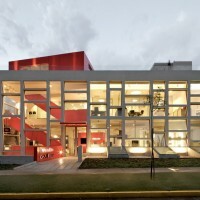 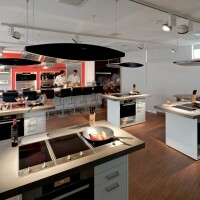 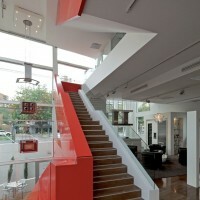 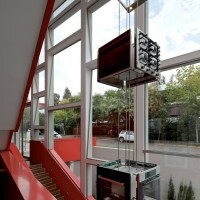 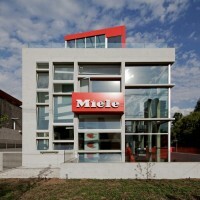 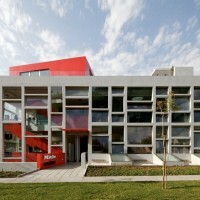 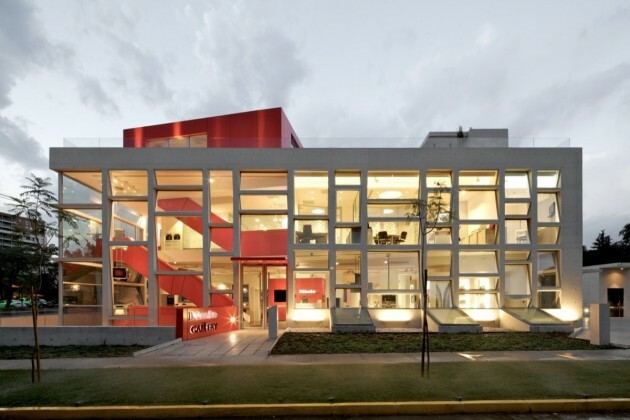 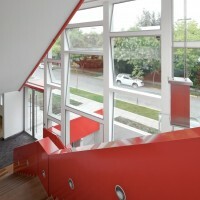 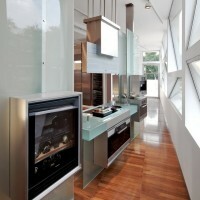 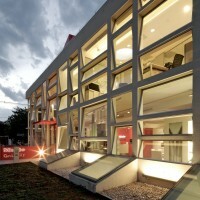 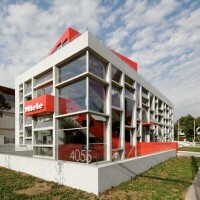 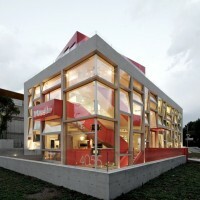 Gonzalo Mardones Viviani designed the Miele Gallery in Santiago, Chile. 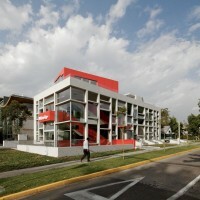 Nueva Costanera Avenue is an important commercial and cultural street full of art galleries, restaurants, banks and shops. 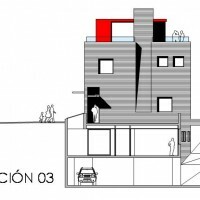 Our architectonic proposal is a building that opens to the corner (the most public place) in a play of façades of concrete and inclined crystals. 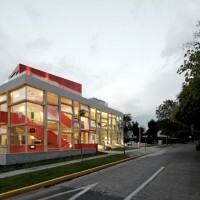 This façades permits light to reflect, and the transparency of the building creates a large display window for the street, both people and vehicles. 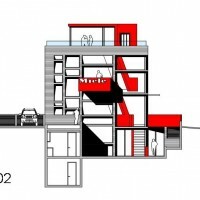 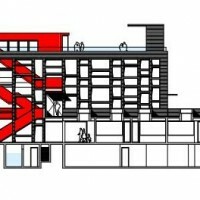 The interior result of the idea permits the connectivity of all the levels. 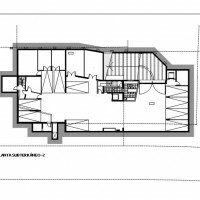 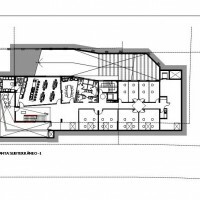 Spaces are architectonic labyrinths paths that are even penetrating the underground spaces, a unique possibility of light and natural ventilation. 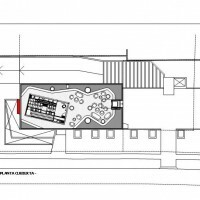 A permanent in our work (sixth façade) is a double purpose: increase the land (scarce resource) and increase offices and exhibition area around to open and semi open spaces that combine intimacy and openness. 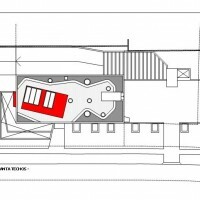 Burying and open to the underground and enable a new landscape which highlights the compressed presence of near walls as a doorway to the sky. 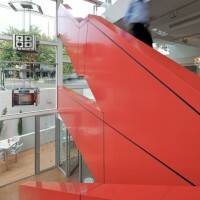 The circulation path into the entire building was created in red steel (red is the Miele corporate color) leaving a contrast to the materiality of the building, white concrete with titanium dioxide incorporated. 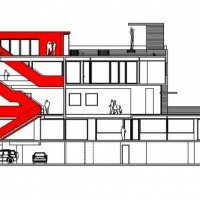 This red strip distinguishes over the white as a fauve and runs over all levels to the roof. 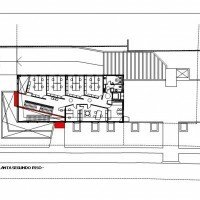 The roof is conceived as the fifth façade creating a big terrace with a bar, a meeting place in the height of the foliages. 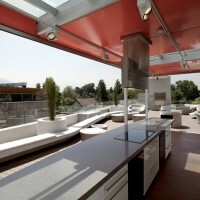 From there can see the immensity of the Andes Mountain, the hills and the green of the neighborhood. 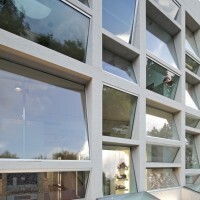 As in all our works, also we insist in the use of dividing walls as architectonic support (seventh façade). 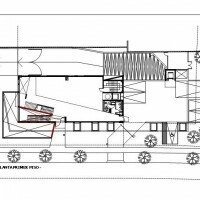 In this case the walls of both streets characterize a new panorama, making a new landscape possible and a new place for the building. 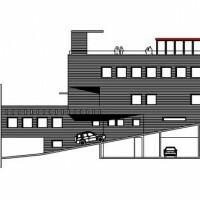 This project represents the culmination of ongoing dialogues between client and architect, essential to our way of seeing and understanding the architectural design process. 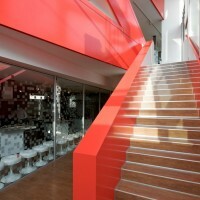 In this as in many cases the client story allows many inspirations and ideas that integrate into the architecture. 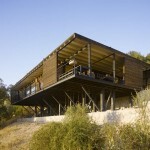 Less is beautiful and responsible. 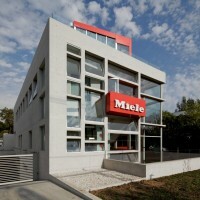 The sustainability of Miele building is principally by the use of the fifth, sixth and seventh façades. 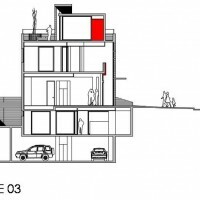 These permits separate the building, heat and cold, creating natural isolation, ventilation and lighting. 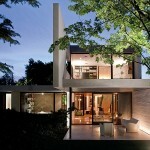 Visit the Gonzalo Mardones Viviani website – here.